I apologize the last three posts on here have been pumpkin recipes. That's a whole lotta pumpkin overload for you. But then again I'm not sorry because this is the only time of year I get to post pumpkin recipes. So na na na na. 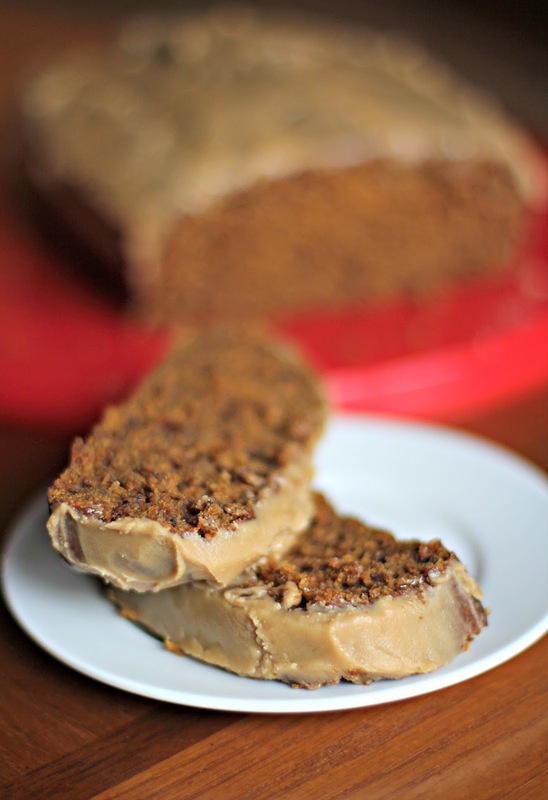 This Pumpkin Sticky Toffee Cake is fresh out of the oven. It's literally sitting on my counter, still warm. I've never posted a recipe so fast in my life. Anyone want to come over and have a piece? Anyone? I already stuffed my face with a slice and oh my GOSH.... it's really, really, really good. I can't lie to you. This is probably one of my best creations. I guess I should tell you how I made it and what's in it, blah blah. So it's like you're making English sticky toffee pudding... we've all made that before, right? No? Well, you boil dates, water, baking soda and make a puree. I added pumpkin to mine, so you're going to do that as well. Then you make a spiced brown sugar cake batter and add the date/pumpkin puree. 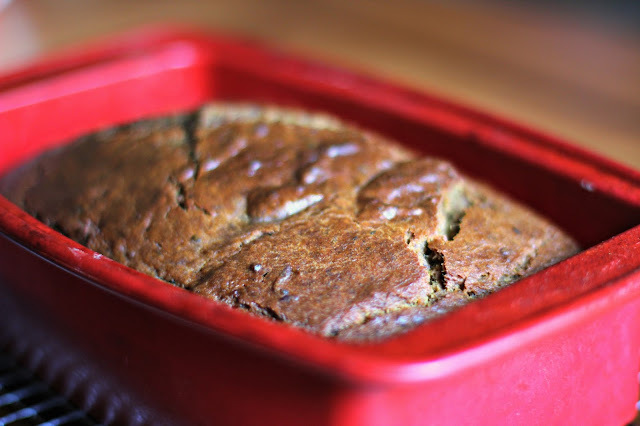 Bake in a loaf pan then top with homemade salted caramel glaze. Then you eat it and try not to think about how much butter you're consuming. You could make this for Thanksgiving... just an idea. Maybe for a breakfast treat or dessert? In a medium bowl, sift together cake flour, baking powder, salt and cinnamon. In a large mixing bowl, beat together butter and brown sugar until creamy; beat in eggs and vanilla until well combined. Beat in date mixture until well combined. Stir in flour mixture until just combined. Spread batter into a loaf pan coated with cooking spray. Cover and refrigerate overnight. Heat oven to 350 degrees F. Uncover loaf pan and bake bread 55-60 minutes, or until well risen, golden brown, and a toothpick inserted into cake comes out with moist crumbs attached. Cool on a wire rack. To make the glaze, melt butter in a small saucepan over medium heat; whisk in brown sugar and bring mixture to a boil. Boil 2 minutes, whisking frequently. Whisk in hot milk and bring mixture to a boil, whisking frequently, until mixture is smooth. Remove pan from heat and strain mixture into a small bowl; sift in confectioners' sugar. Whisk in vanilla and salt until mixture is smooth. Cool glaze for a few minutes until it has a thicker consistency. Drizzle glaze over slightly warm bread. 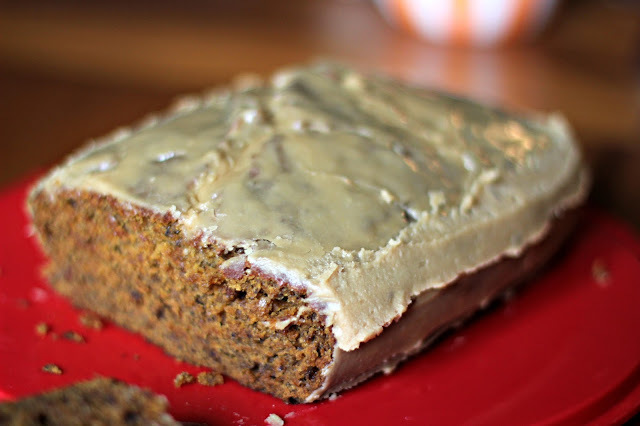 2 comments on "Pumpkin Sticky Toffee Cake"
I just went to Trader Joe's and bought a frozen sticky toffee pudding cake, but now I wanna make this instead because it looks SO yummy! Or I'll just have both I guess. But boiling dates sounds intimidating!